The 2016 New York Toy Fair doesn’t start until next month, but toy fairs in London and Nuremberg are already well under way. 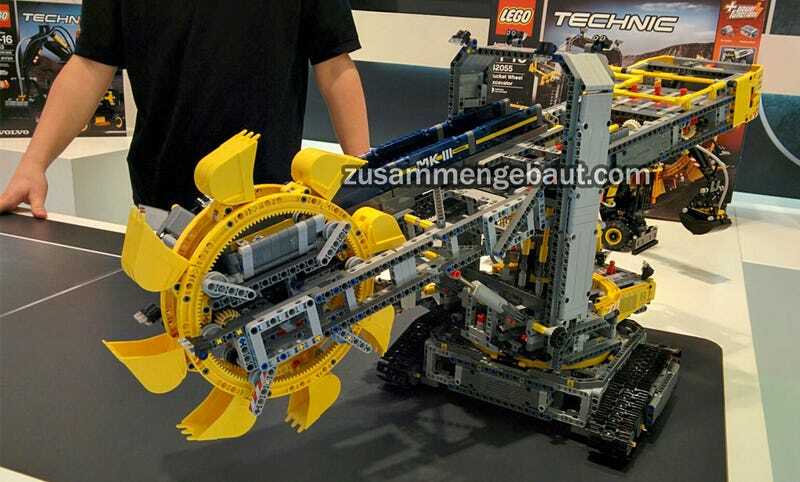 As a result, we’re starting to get sneak previews of what we’ll see in New York in February, including this new Lego Technic excavator that looks astoundingly massive. Andres Lehmann from Zusammengebaut.com and Jim van Gulik were on the ground in Nuremberg, snapping quick shots of all the sets Lego is revealing there, but the Bucket Wheel Excavator (#42055) is certainly the standout. The set includes just shy of 4,000 pieces, is fully motorized, and also comes with an equally massive dump truck for hauling those mountains of excavated Lego bricks away. There’s no official pricing info yet, but it’s probably a good idea to stash away a few hundred bucks if you’re thinking of picking this one up.